How 'bout that freak show last night? Between the charming clown with the non-stop smile and sweet and sassy Dot and Bette (played by the amazing Sarah Paulson), it was a glorious spectacle. 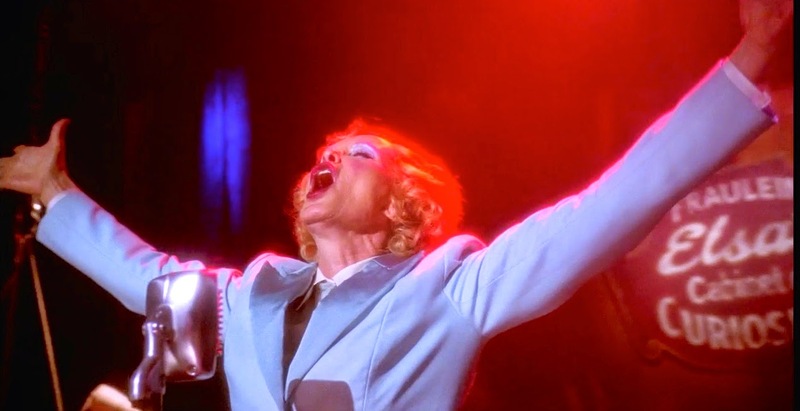 One of the highlights from the show was Jessica Lange as Elsa Mars stepping onto her stage and doing a glittery rendition of David Bowie's "Life on Mars" complete with a freakishly good orchestra. Too bad her audience was just two a-holes. Thank you Ryan Murphy and thank you to Entertainment Weekly for this exclusive clip of the performance. "American Horror Story: Freak Show" returns next Wednesday at 10 p.m. on FX with the Alfonso Gomez-Rejon-directed episode, "Massacres and Matinees."